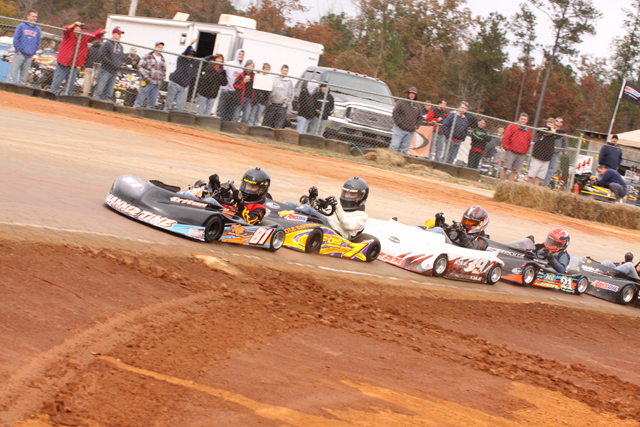 The South’s Premier Kart Track! Dawgwood Speedway is a fifth of a mile dirt clay oval located off Highway 225 in Chatsworth, Georgia. Located in North West Georgia, Dawgwood is home to racers from Tennessee, Georgia, Alabama, North Carolina and South Carolina every week. Dawgwood features the latest MYLAPS/AMB-IT scoring system, along with paved grids and scales. 80 parking spots with power are available, and additional parking with no power is also available. For more Dawgwood news click here.